Discussions Magazine Music Blog: Sinatra 100 — An All-Star GRAMMY Concert! Sinatra 100 — An All-Star GRAMMY Concert! The Recording Academy, AEG Ehrlich Ventures and CBS will honor the legacy of nine-time GRAMMY winner Frank Sinatra by presenting "Sinatra 100 — An All-Star GRAMMY Concert," a primetime entertainment special celebrating the late icon's 100th birthday. The live concert taping will be held Wednesday, Dec. 2 at Wynn Las Vegas' Encore Theatre. The special will be broadcast in HDTV and 5.1 surround sound on the CBS Television Network on Sunday, Dec. 6 from 9–11 p.m. ET/PT. Initial performers announced for the tribute are 17-time GRAMMY winner Tony Bennett, two-time GRAMMY winner Garth Brooks, 15-time GRAMMY winner Alicia Keys, nine-time GRAMMY winner John Legend, three-time GRAMMY winner Adam Levine, seven-time GRAMMY winner Carrie Underwood, and eight-time GRAMMY winner Usher. Additional performers will be announced shortly. In close partnership with the Sinatra family, "Sinatra 100 — An All-Star GRAMMY Concert" is the only televised concert special celebrating Sinatra's centennial. Through the generosity of the family, the concert will feature artists performing instantly recognizable arrangements originally orchestrated for the "Chairman of the Board" by renowned arrangers Don Costa, Gordon Jenkins, Quincy Jones, and Nelson Riddle. The special will keep the honoree center stage throughout the night by integrating tribute performances of Sinatra classics with rare archival footage narrated by Sinatra himself. "Frank Sinatra is a voice for all generations. His showmanship and artistry have remained unmatched since he began performing professionally in the 1930s to his last recording 21 years ago," said Neil Portnow, President/CEO of The Recording Academy. "Today, he continues to gain popularity for his classic sound and signature style. It's only fitting that we join the global celebration in honor of his 100th birthday." "My personal memories of Frank remind me that he was a class act who also knew how to have fun. That's what this celebration will be," said executive producer Ken Ehrlich of AEG Ehrlich Ventures. "By partnering with Steve Wynn and featuring Las Vegas as the backdrop, the evening will be a party the Rat Pack would be proud of." 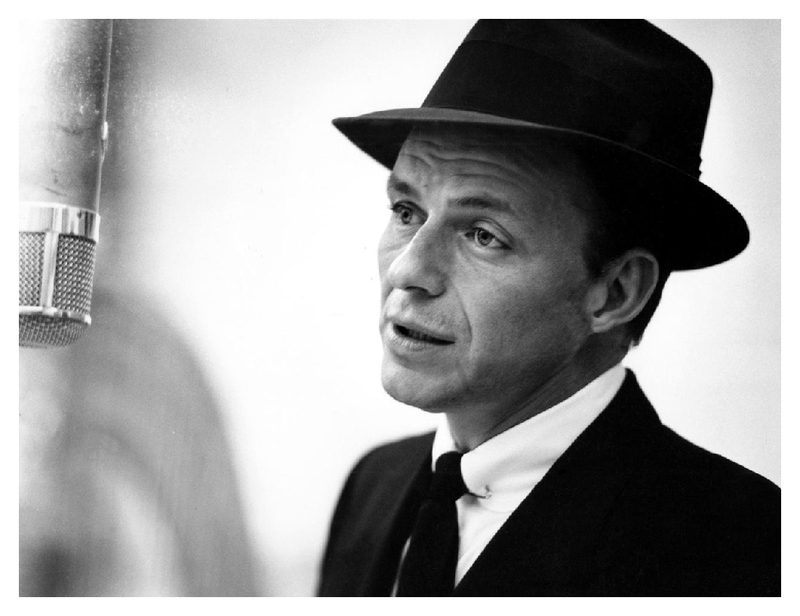 "The name Frank Sinatra is synonymous with excellence that is timeless. As a performer, he possessed undeniable charisma and masterful artistry that resonate throughout generations," said Jack Sussman, executive vice president, specials, music and live events, CBS Entertainment. "To have the opportunity to celebrate the life and art of the Chairman of the Board on his 100th birthday, and witness the lasting effects his music has had on artists today with a star-studded GRAMMY concert, is a true honor." Among Sinatra's nine GRAMMY wins are three for Album Of The Year for Come Dance With Me (1959), September Of My Years (1965) and A Man And His Music (1966). Additional recognition from The Recording Academy includes a Lifetime Achievement Award, GRAMMY Legend Award and 13 recordings inducted into the GRAMMY Hall Of Fame. "Sinatra 100 — An All-Star GRAMMY Concert" continues the tradition of previous Emmy Award-winning TV specials presented by The Recording Academy, AEG Ehrlich Ventures and CBS: "Stevie Wonder: Songs In The Key Of Life — An All-Star GRAMMY Salute" and "The Beatles: The Night That Changed America — A GRAMMY Salute." "Sinatra 100 — An All-Star GRAMMY Concert" is produced by AEG Ehrlich Ventures, LLC. Ehrlich is the executive producer, Lou Horvitz is director, and David Wild and Ehrlich are writers.